Teacher accused of impregnating five learners - SABC News - Breaking news, special reports, world, business, sport coverage of all South African current events. Africa's news leader. It's alleged that at the fifth school, the teacher forced a learner to abort the baby and buried it in a shallow grave. 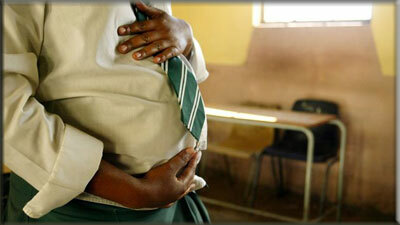 A high school teacher has been accused of impregnating five learners from different schools at Manguzi in the far northern part of KwaZulu-Natal over the past few years. It’s alleged that at the fifth school, the teacher forced a learner to abort the baby and buried it in a shallow grave. One of the victims, who is now 22 years-old, says the teacher threatened to kill her if she ever implicated him. This young mother had to change schools. She says the teacher has never paid any maintenance towards their daughter, who is now 5 years-old. This entry was posted on 14 Nov 2018,11:01AM at 11:01 AM and is filed under South Africa. You can follow any responses to this entry through the RSS 2.0 feed. Both comments and pings are currently closed.